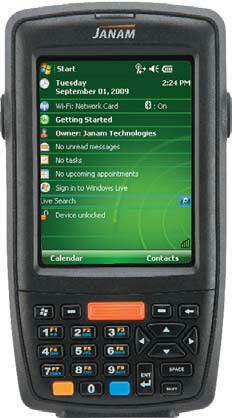 Janam XM66 - Wireless Mobile Computer (Windows Mobile 6.1, WLAN 802.11b/g, Bluetooth, 128/128MB, 1D and 2D Ready). Must order cradle kit or cables and power supply separately. See accessories. The Janam XM66W-1NGFBR00 is also known as Janam Technologies LLC	JAN-XM66W1NGFBR00	or XM66W1NGFBR00	.